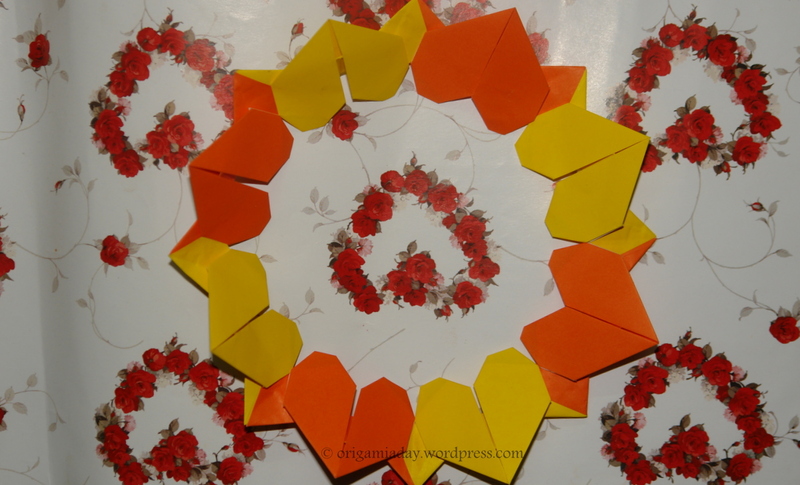 For now, here is a very pretty and elegant wreath, made from 8 heart units. Red and white hearts would look great, I admit, but I wanted to try out another combination. I think this orange and yellow combination looks great too. The units are not very difficult to make. The are joined together with glue. 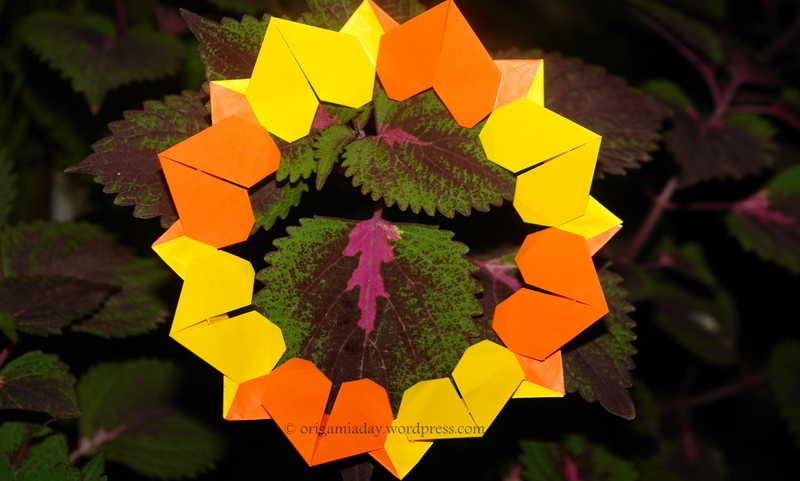 But looking at how pretty the wreath is, even origami purists would be tempted to give it a go I think! 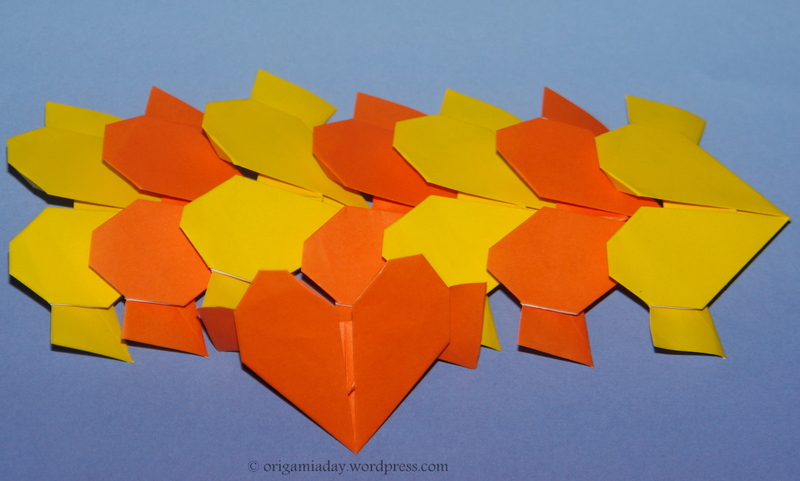 Francis Ow, the specialist in origami hearts, is the designer of this origami letter. 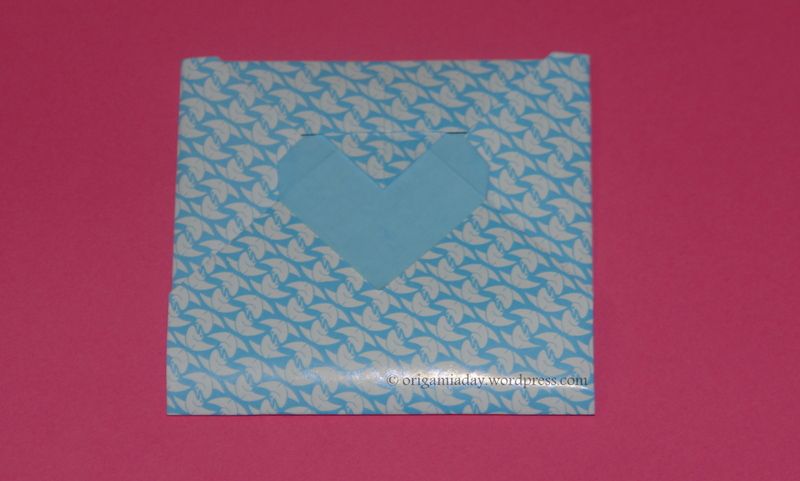 The letter is pretty easy to fold and makes a great gift for Valentine’s day, though I don’t know how easy it will be to fold it back to the original shape, once unfolded! Will require some practise I think. The heart doesn’t really show till it is locked into place, by inserting it under the triangular tab at the top (refer to the next picture). 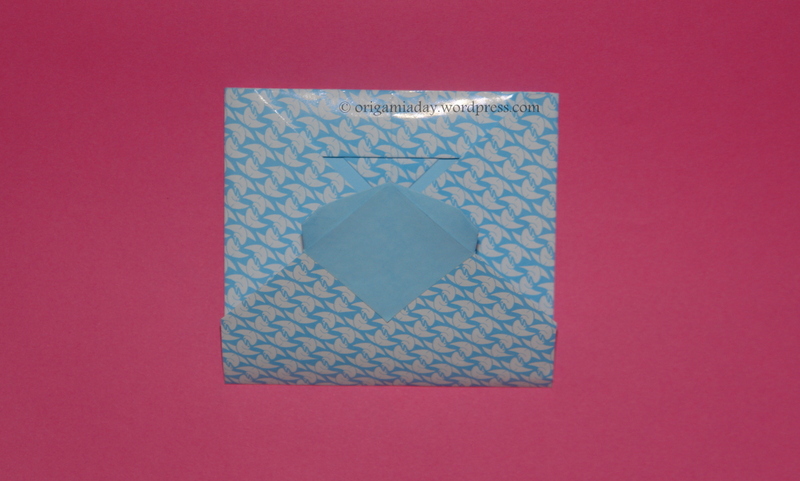 I think the letter will look much better if folded from single sided paper, rather than paper with print on both sides. That will bring out the heart much better. 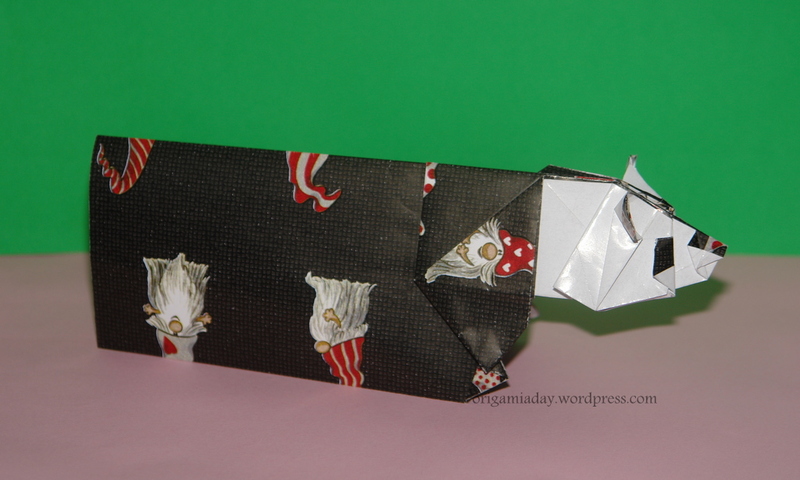 The panda card, designed by Hans Birkeland is yet another from his table card origami. The table cards are folded from a card base. The panda card requires a lot more tweaking, to get the panda shape, but I wasn’t able to get that right. In spite of that, I quite like this one! The design is by Jacky Chan and in addition to providing instructions, he has also created a youtube tutorial. I found the tutorial very useful, especially when finally shaping the panda and converting it into a 3D model. 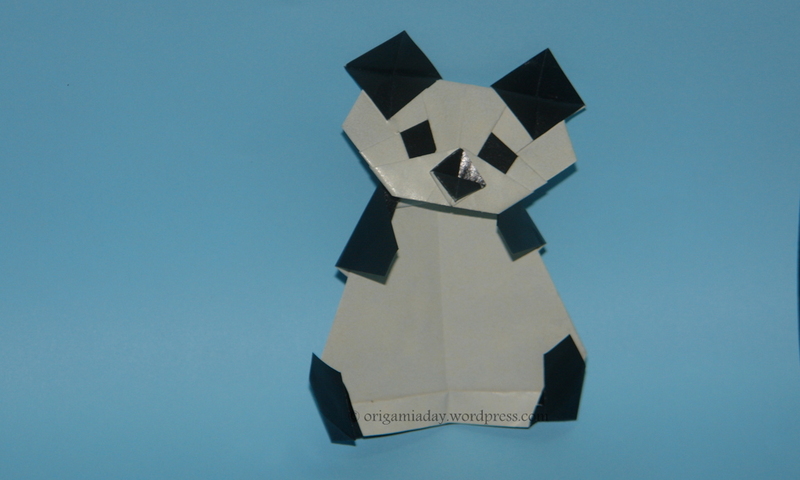 Yet another origami panda! This is yet again Roman Diaz’s design and a bookmark. 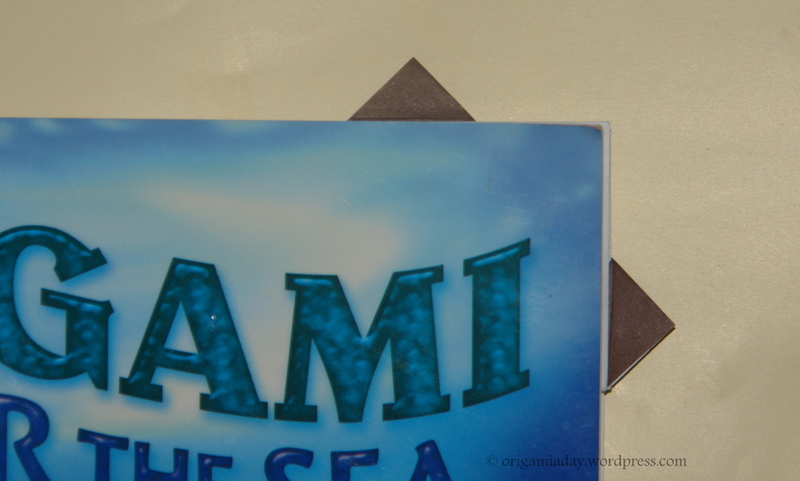 I like the way the bookmark fits into a page corner. And when the book is closed, just the ears are visible – a rather convenient way to open the book again at the marked page! 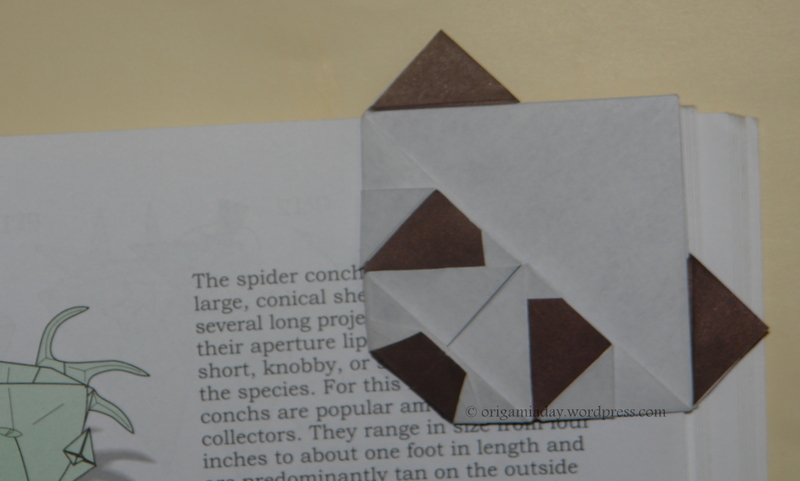 Roman Diaz has himself made a tutorial for folding the bookmark and it is available on his blog (link below). 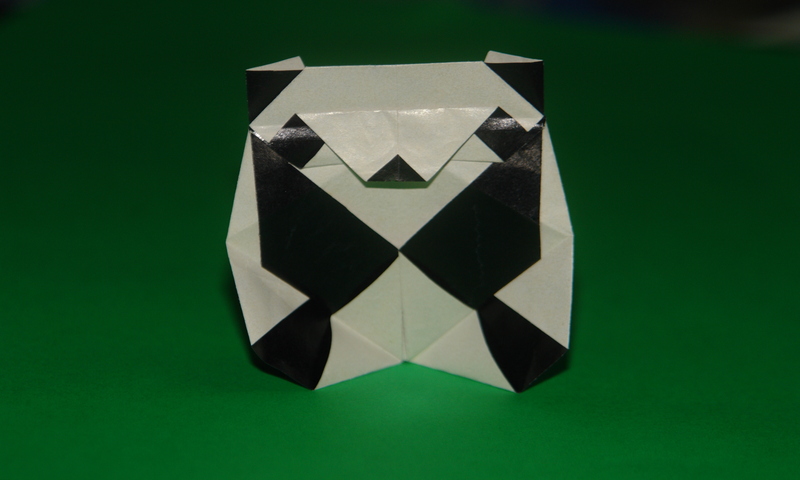 Roman Diaz’s Panda from his book Origami Essence (also in Origami Tanteidan Volume 14) is a simple and elegant model to fold. Loved it!